Incredibly versatile and a real pleasure to drive, the Mercedes-Benz Vito is a mid-sized van with a lot to offer. Available in a variety of bodystyles including panel van, crew and tourer, the Vito can be easily moulded to fit your business' exacting requirements. The latest models come equipped with a host of advanced technology features, while the range as a whole provides a comfortable and safe working environment. 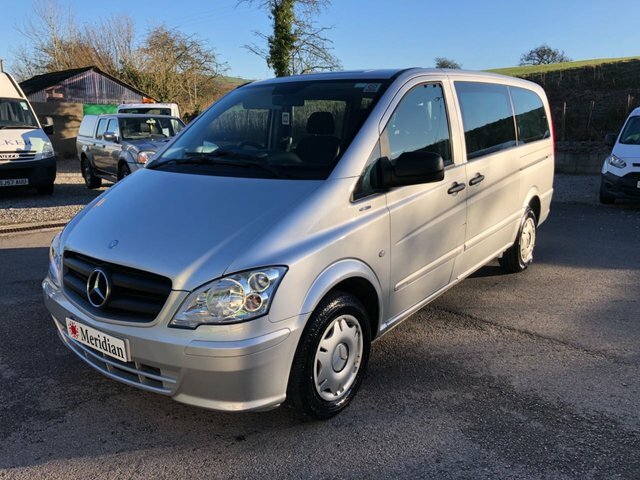 Come to Meridian Vehicle Sales Ltd today and discover more about the complete range of used Mercedes-Benz Vito vans in stock. Take the opportunity to browse our latest selection of pre-owned vehicles here on the website before contacting a member of the team to arrange a test drive in the model of your choice.